Now apprenticeships have reached the top of the government agenda, investing in IT skills for your workforce is more crucial than ever to successful business. In a bid to encourage British employers to invest in workforce training and create 3 million quality apprenticeships by 2020, the UK government opened consultations last month for plans to impose a tax levy to businesses to fund apprenticeships nationally. What is the levy and how may it affect my business? Whilst complete details are still to be released in autumn 2015, the levy is looking to rapidly enhance the skills of the UK workforce and bring to light the substantial economic benefits of hiring apprentices to businesses. Unused funding from employers that choose not to invest will be redirected back into the national fund, meaning those who do invest are likely to gain more from the levy than they contribute. Funding will continue to be distributed via a digital voucher system to pay for the training required – regardless of size or sector. Employers can choose which apprenticeship training they purchase and use their vouchers, transferring the purchasing power to them. Apprenticeships will be given equal legal footing with degrees. In brief, the levy holds greater value if you are committed to training your workforce. As larger competitors will have contributed to the apprenticeships scheme, they are less likely to ‘poach’ employees from those who have invested in training and more likely to become self-sufficient in building a skilled workforce. Businesses need fresh IT talent. According to the Office for National Statistics and Tech Partnership, the UK has over 130,000 vacant jobs across the IT industry per year and no suitable candidates to fill them, meaning it’s becoming increasingly expensive to hire. 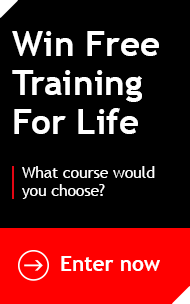 With access to over 700,000 unemployed young people (UK Parliament, 2015) and a lack of IT-related degree graduates, now is the time to train either your own staff or external candidates at little to no cost. Apprenticeships are not age-discriminate and you can still receive government funding regardless of how old your apprentice is. IT apprentices training with Firebrand will gain up to 38days of accelerated training at twice the speed, leaving more time for them to develop within your workplace. You’ll gain a certified apprentice with multiple industry-recognised qualifications from Microsoft, Cisco, CompTIA and ITIL. With the opportunity to adapt your programme to suit the needs of the business, you also won’t be restricted to the ‘standardisation’ of normal apprenticeship programmes and you can choose which certifications will be most relevant to the job role you design. It couldn’t be easier for you to take on an IT apprentice – we advertise apprenticeships and we recruit the candidates for you, completely free. To start your search for an apprentice, head to our website. Invest in your greatest asset now – fast.